Cosmos by Fleur Ami is a beautiful indoor planter. 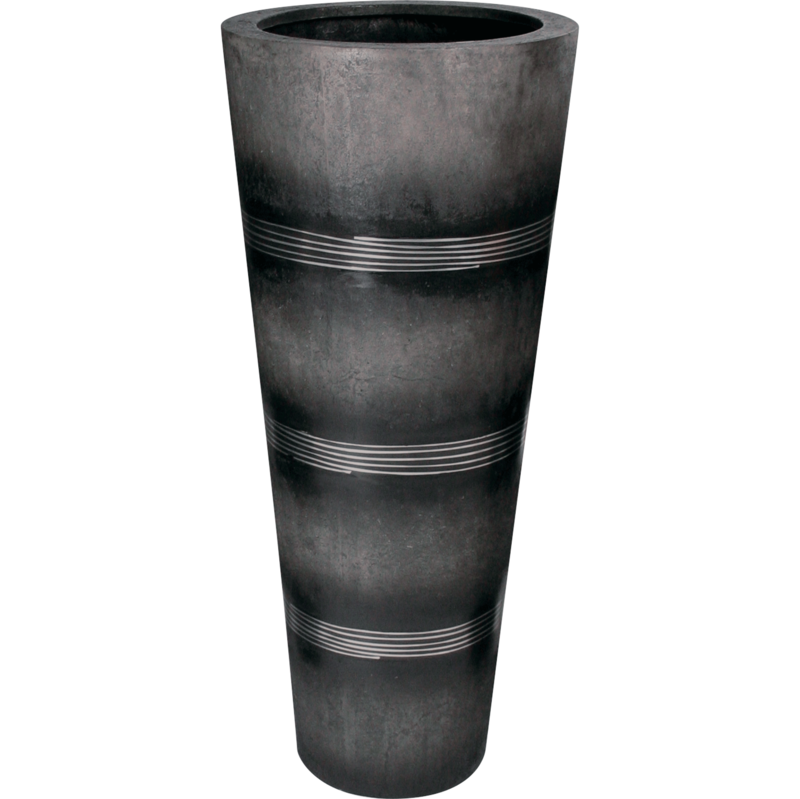 Handmade from polystone and inlaid with aluminum rings, this stunning design helps any room go the extra mile. The color gradient of the aluminum rings adds a special touch. 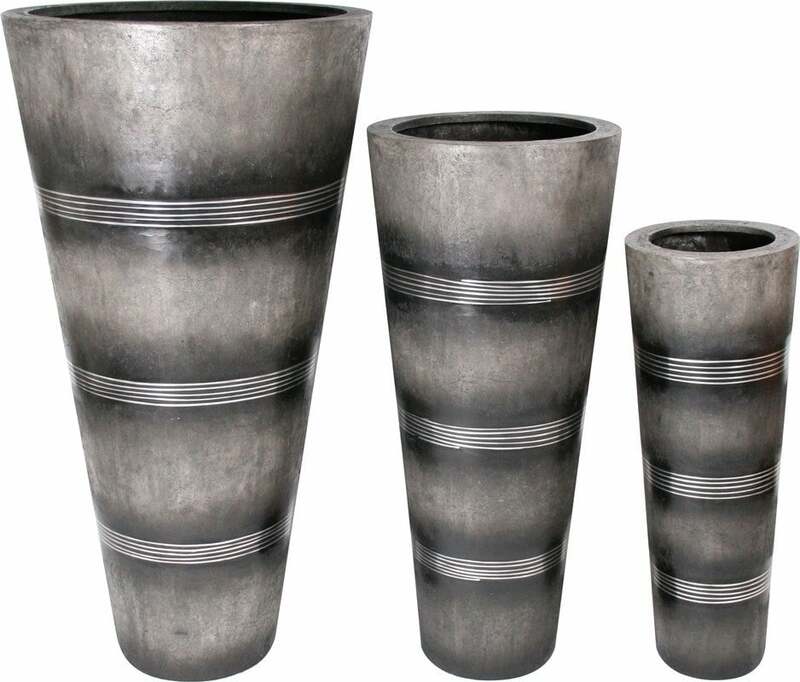 The internal diameter is about 10 cm smaller than the outer diameter. 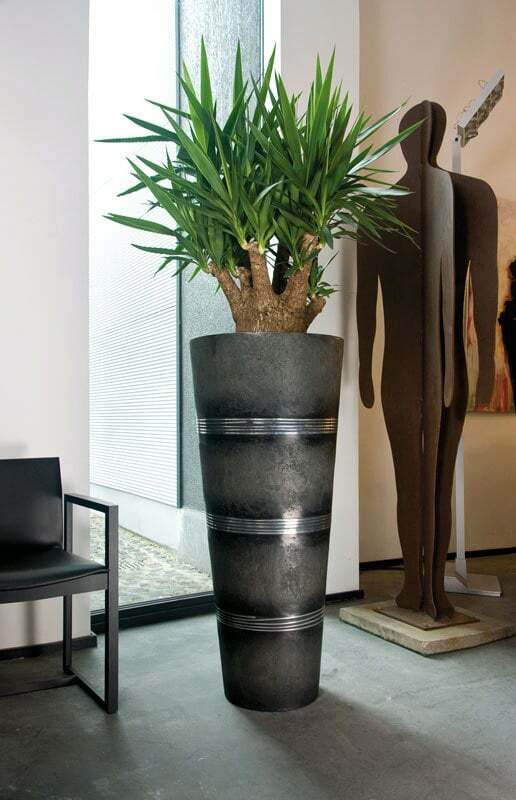 Pots and planters by Fleur Ami are ideally suited for the office and the stylish home.